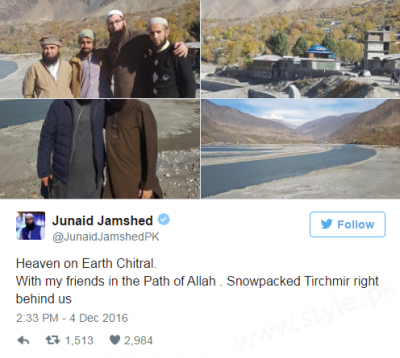 Recently, famous Islamic preacher Junaid Jamshed lost his life in a plane crash while he was traveling from Chitral to Islamabad. Junaid Jamshed went to Chitral for 10 day trip on his preaching duty. While he was traveling back along his wife from Chitral to Islamabad in a flight of PIA, the plane crashed near Abbottabad due to unknown reasons. Junaid Jumshed died on 7th December 2016 along his wife and several other passengers of PIA flight while traveling from Chitral to Islamabad. The news of his death was confirmed by Junaid’s brother. According to Civil Aviation Authority, the ATR-42 plane had 47 passengers when it disappeared from radar while travelling near Havelian during its way from Chitral to Islamabad. No person on board can survive.